DUBUQUE – Doctors aren’t quite sure how it happened, but a Dubuque man can see clearly after being blind in one eye for more than a decade. It happened after a trip to the chiropractor. And as quickly as he lost sight, he got it back. Harkey said, “he just did his normal adjustment and, voila! After a routine visit to Chiropractor Tim Stackis, Harkey says a miracle happened. Doctor Stackis said the bones in the Harkey’s neck were out of alignment. Harkey now has the depth perception he’d been missing, just what he needs as he’s about to walk down the aisle with his fiancée next month. Was it a miracle? Harkeyʼs not sure how to explain it, heʼs just glad it happened. Harkey says his eye doctor says with the help of corrective lenses he will be able to almost perfectly out of both eyes. We're always here to help you. 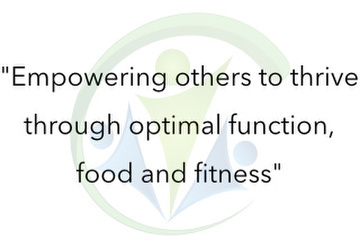 Our purpose at Atlas Family Chiropractic is to "empower others to thrive." Our doctors implement NeuroStructural chiropractic care, focusing on structural correction for long-term results, allowing individuals to function at their highest level and enjoying the greatest quality of life.